So I have a lot of books in this apartment of mine, as I said yesterday. And this includes several books by whole writers. Those acquisitions were made on reputation alone (and usually favorable pricing situations). One such writer is Rachel Cusk. Another one is Lydia Millet. I own several of her books but haven’t read a single one. So I started with the one that seemed most obviously appealing to me from afar: the 2002 novel My Happy Life. 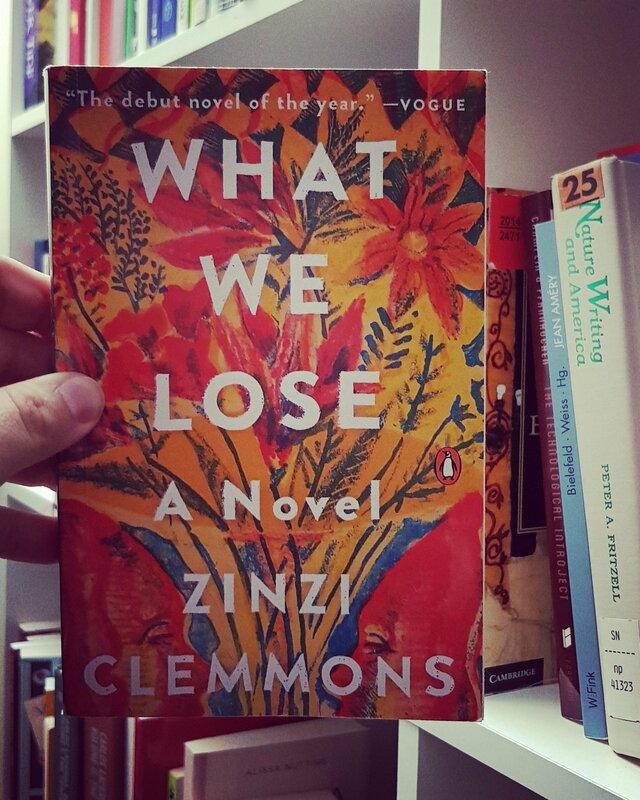 This book is fascinating and absolutely brilliant – and it works with a naïve protagonist – or someone who prefers to tell their story as if they were one – and includes the resulting lacunae of details that are part of our stories and memories – the exactness of fact. Writing like this requires a stylistic discipline and a different exactness of detail that makes this kind of fiction extraordinarily hard to pull off. The easiest out is to use a child or a mentally ill person (or both), because that lets you off the hook in a lot of ways. The resultant bright eyed look at what is often a dark story can be effective, but has a whiff of gimmick about it. When it comes to mentally largely competent adults, the results are often a bit flat and boring or tired – and, most importantly, muddled. I think there’s a misunderstanding about these kinds of narratives. Just because someone doesn’t understand the world as we do, they are not looking at it through a mist. Children are extremely sharp observers. What Millet pulls off in My Happy Life is a story about a woman who presents to us a world view that is more gentle than the common way we view the world, but she does this in layers and layers of observation, allowing us to see not only that her life is clearly anything but happy – in fact a continuous nightmare – but also how it has become what it is. At its core, it is about the female experience, or a female experience – how power and men grasp at the totality of womanhood – in its essential, basic elements: presentation, representation, self-reliance and biological reproduction. At every step of the way, society grasps at Lydia Millet’s protagonist and fucks her over, denying her agency, free will, and the most basic amount of empathy. In fact, that is what’s ultimately the toughest part about the book – all the men who are unable or unwilling or both to provide some empathy for this put-upon, strong, resilient woman. Why not say your life was “happy” if saying otherwise does not have any advantages among people socialized as men, or socialized to support or defend men. The exactness of detail and style throughout this book is nothing short of brilliant. Millet pulls from multiple registers, uses them all expertly, has always complete mastery of plot, dialogue, and the empire of signs that constitute our reality. In a blurb on the back, someone calls it a “dreamy whirl” – but there’s nothing dream-like about it. 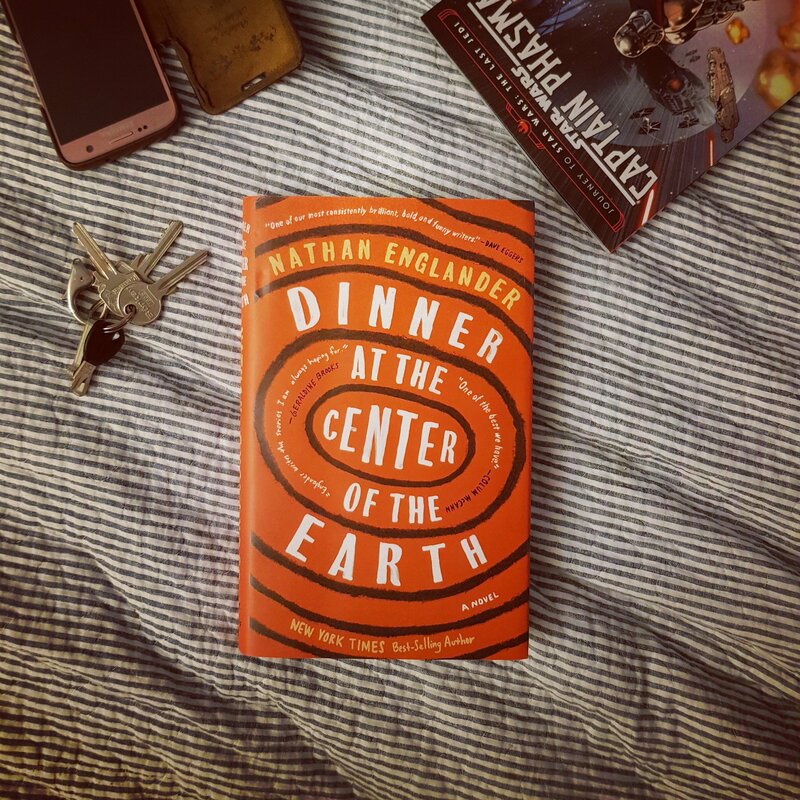 Millet’s protagonist may not call a spade a spade, but she describes the spade extremely well, and the distance from what she describes with utmost realism to the name she uses for it has its own literary function. I mean, before I melt further into this puddle of praise, here’s what the book is about: it is the bildungsroman of a woman who grew up in an orphanage and ended up locked in an empty, abandoned former mental hospital. Her present situation is the framing narrative, that’s where we begin and end. We also stop there in between. From her cell in the mental hospital, she tells us about her life. Her happy life that begins in an abusive orphanage. 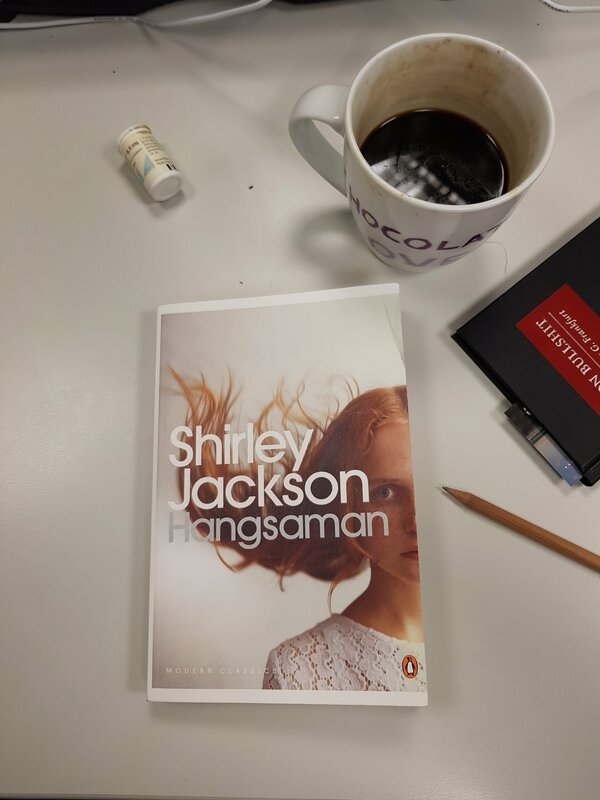 There are things you don’t think at the beginning that become really clear towards the end of the book – everything in this novel is anchored to wider literary discourses, talks to a broader tradition of literature, a very Irigaray kind of project, overall. So this orphanage is also, of course, all the other orphanages and all their other orphans. And reading it this way recasts various characters in her novel in a different light. The bully – because each bildungsroman set in an orphanage has this morality play about masculinity in it and early fights to persist – here is simply allowed to do what he must, and the woman lets him do that for his own good. Nobody stops him, nobody asks about the beatings and their physical traces on the young girl – things just happen. What the protagonist is taught is how to apologize. She learns to say “excuse me.” She learns to cloak things in a different light. She learns that if she speaks up, if she steps out of line, she will be blamed. At school she is raped – and as a punishment, she’s kicked out of school. She attempts suicide a bunch of times, attempts for which she is punished. She is assaulted and abused by various boys and men early in her life – and that’s how she learns to look at things from a brighter side – it makes things more bearable. These are just a handful of pages that I am summarizing in such detail because what Millet does is a recasting of the common theme of orphanage abuse into the situation of a female protagonist who cannot expect empathy from her readers – much as she cannot expect empathy from people around her. Millet shows how these narratives curdle into terror when you change parts of them. I mean the Irigaray-like “mirror” is one thing, but My Happy Life reads throughout like a conversation with various feminist theories. But it’s also a critique of pure intellectualism – the protagonist’s pain and trauma are things she learns from – and constructs a view of reality that seems disturbing. Early on she calls abusers “warriors” who “will not be stopped by skin” because “they want to catch the soul. They think that souls are heart and bone, residing in a certain place, and can be known by traveling.” She closes with a declaration of love for the abuser du jour and as a reader you have a couple of options here in how to parse this. One thing is off the table – the naivete of the uneducated, the simple of mind and brain. Throughout her life, Millet’s protagonist is seen reading books. It’s never specifically stressed, but unflaggingly mentioned, in all parts of her life, the protagonist is reading books. She’s clearly not stupid – nor uneducated in a practical sense. What Millet presents to us, instead, is the uselessness of pure knowledge. The protagonist’s knowledge is also embodied – how you deal with the world and how the world deals with you. Much later, the novel’s doublespeak is given a different analogy: on a Polynesia-sounding island (“huts on stilts”?) she learns various words in the local language and reflects on the distance between words, meaning and representation. And as we move from orphanage and school to various phases of her adulthood, Millet engages in similar doublespeak of her own, giving us examples of different power structures that we easily recognize, from capitalism to imperialism, and equating them to the abuse of patriarchy, which the early sections of the book taught us about. This, we learn, is all related – the abuse of power taken by men is replicated in the abuse of power in capitalism, which is replicated in imperialism. This is like that, and the protagonist moves through all of it until she ends up, for no good reason, in a mental hospital. She does acquire occasional problems, but when she describes what could be a delusion, and someone takes her literary, she corrects her interlocutor: this is just a figure of speech. So much for naivete. And she undergoes all of this explicitly as a woman. Her attempts to find a job land her jobs as a maid and a cleaner. She is repeatedly raped, for a good portion of the book she is continuously raped by an industrialist who keeps her locked up and takes some kind of whip to her body that ends up covering her whole body in scars. This section reminded me of another book I meant to review. Stephen Graham Jones’s book The Least of My Scars is a masterpiece of thriller writing, about a serial killer who is completely without remorse. He is kept as a kind of pet in a house by some rich guy who hand delivers his victims to him and, one assumes, takes his pleasure from that. Like Millet, Jones’s style is masterfully precise, but the obscurities are different, what Jones does is invert externalities into this small apartment, rewriting serial killer narratives, inscribing them into the walls and architecture of one house. Jones uses various serial killer tropes and shifts them around. I should have reviewed that book first, however, since reading Millet makes me see what Jones doesn’t really touch: gender. Women in his book are objects – objects to be murdered (The Least of My Scars is extremely graphically violent), but also objects to be owned. There is an interesting differentiation he makes, but it pales when compared to My Happy Life – the various rooms and enclosures of Millet’s book mirror the rooms and enclosures from literary history, and as much as Jones condenses typical narratives, and violently savages the assumptions of interior monologue and serial killer psychology with his protagonist who has no inner life, his novel stretches into the psychology of those around him – but not into the women. Millet’s protagonist is colonialized top to bottom, from her psychology to her womb. In something of a particularly dark part of the novel, she gives birth to a son, who is then taken away from her. So maybe there’s another similarity between Jones’s book and Millet’s – Jones’s serial killer protagonist uses all parts of his victims in his acts – and Millet’s protagonist is used completely, by a patriarchal society that has no respect or patience for those among it who are assigned female at birth – and immediately, like Millet’s protagonist, shunted into the machine of patriarchy, capitalism and imperialism. That Millet connects all this to a mental hospital suggests that we should interrogate the nature of trauma, oppression and mental health. Sophie Campbell is one of my favorite people in comics. She’s been publishing comics for a long time now, sometimes as artist and writer, sometimes “just” as artist. It’s been a while since new work written by her has appeared in print: that’s all the more reason to celebrate Iron Circus Comics’s new reprint of her Shadoweyes comic book, originally published by Slave Labor Graphics in 2010. Trust me: you want to read this. Sophie Campbell’s art is gorgeous, the story and ideas are cohesive, moving and complex. If you are tired of the usual stories about vigilantism and superheroes, you might like this one. 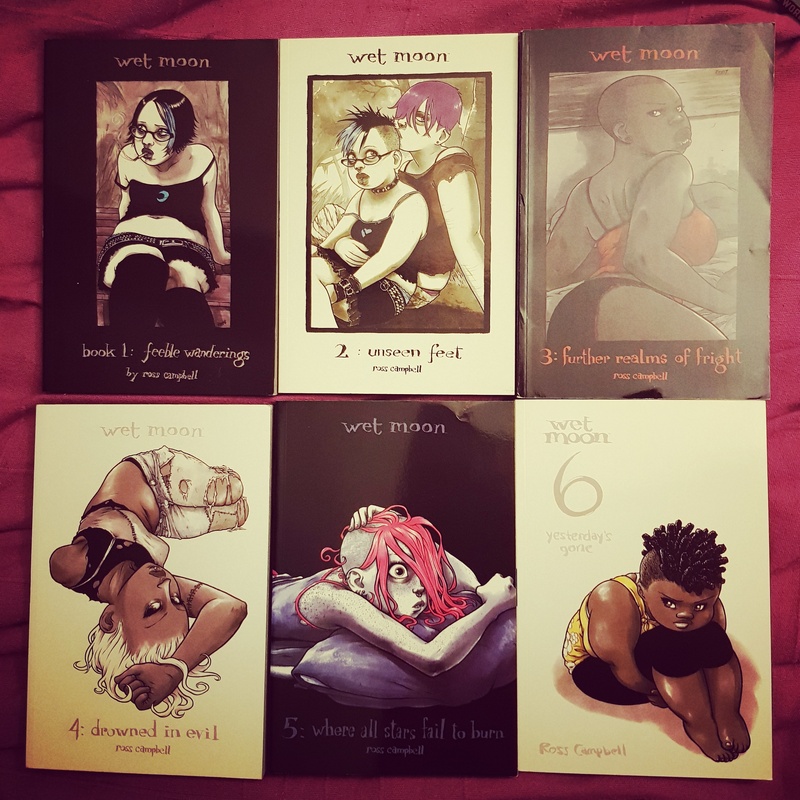 Campbell best and most well known work is the sharp sequence of graphic novels called Wet Moon, of which 6 volumes have appeared so far, and in some ways, Shadoweyes is its polar opposite: Wet Moon is conscientiously realist – offering a story about real lives in a way that isn’t usually presented in comics. Campbell’s characters are queer, of color – and colorful, struggling with money, sexuality, love and other issues, with a palpable physicality that similar books, like Terry Moore’s classic Strangers in Paradise, lack. In fact, if you follow Campbell’s work, the topic of physicality, of change, is tied into her examination and interrogation of feminity. Shadoweyes reads like an early attempt as synthesizing all of her themes in one powerful image: of the young vigilante who turns into a kind of alien monster, without losing any of her humanity. It’s about the inevitability of some physical change and about the way we deal with it. I’ll be honest though: the main reason you should read this is because Campbell is an amazing, gorgeous artist, and while her black and white work is great, her work in color is beyond description. This new edition of Shadoweyes is in full color, which the original wasn’t. Coloring assistance is provided by Erin Watson, who does a great job. Campbell’s art, particular when colored, is transformative. She is an artist who takes care of the little details: hair, clothes, smaller accessories are rendered with a focus that is unusual, because Campbell, I think, truly understands how dependent often people’s identities are on what we might call these little things. In her own books, her excellent writing may overshadow sometimes the enormous lifting her art does. There are two titles that appeared in the last 5 years that should change your mind on that: one are the two trades of Glory that appeared from 2012 to 2013. The writing on the book, by Joe Keatinge, is very good, though a bit rushed by the end (had the book not been canceled I think the latter half of the story might have fared better), but it is Sophie Campbell’s art that truly lifts this title to a higher level. Keatinge took a character invented by Rob Liefeld and turned her complex and humane, giving her a tragic, moving character arc. None of this would have mattered if not for Campbell’s approach to the main character. You can always recognize a panel drawn by Campbell within seconds, and many characters in the book are very Campbellian: soft shapes, big eyes, unique hair style. 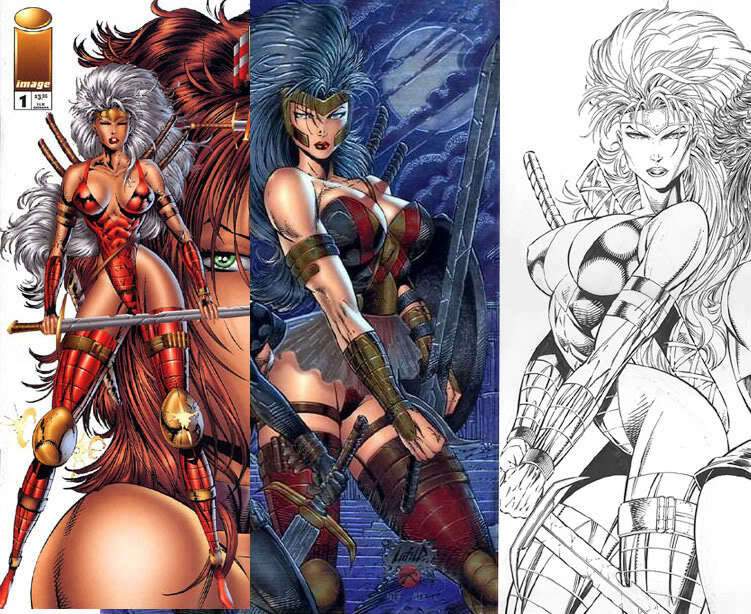 But Glory, the main character is not human, her physicality, as established by Liefeld, is the one of an overpowered superhero: but Liefeld drew her as a pin-up (click here for Liefeld’s Glory), her physical power implicit in the actions, not her physique. Campbell’s Glory’s power is evident in her size, her thick, muscular body. Glory is tall, muscular, yet also feminine, and her life and emotions are extremely carefully designed by Campbell. 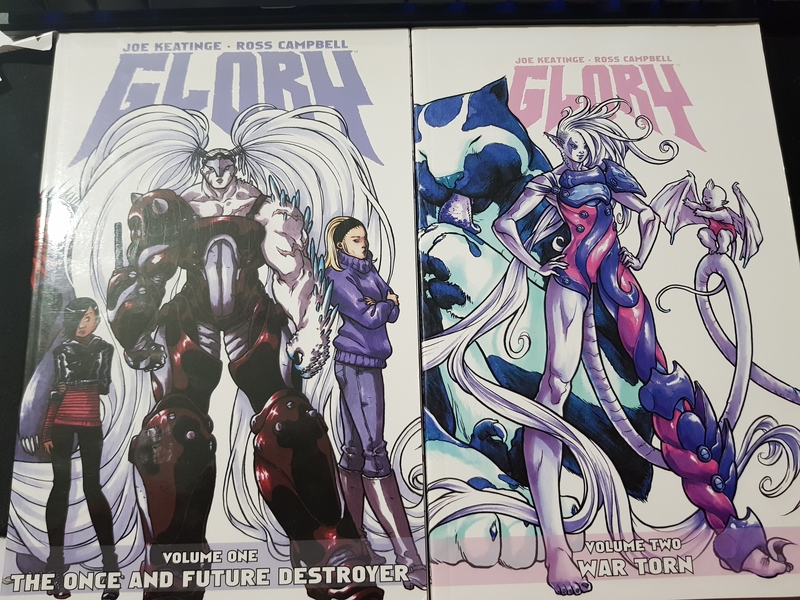 Glory is a warrior and so her body is drawn with ripples of scars – what’s more, the big, muscular female in comics is often de-sexualized. Not so with Campbell who created Glory to be fully rounded, the various possibilities of life reflected in the various aspects of her physical appearance. There is a physical change that Glory goes through, as the story develops, and all the changes flow from the same, unwavering sense of aesthetics that is the artistic mind of Sophie Campbell. Now, Glory is gorgeous, but extremely bloody and brutal. 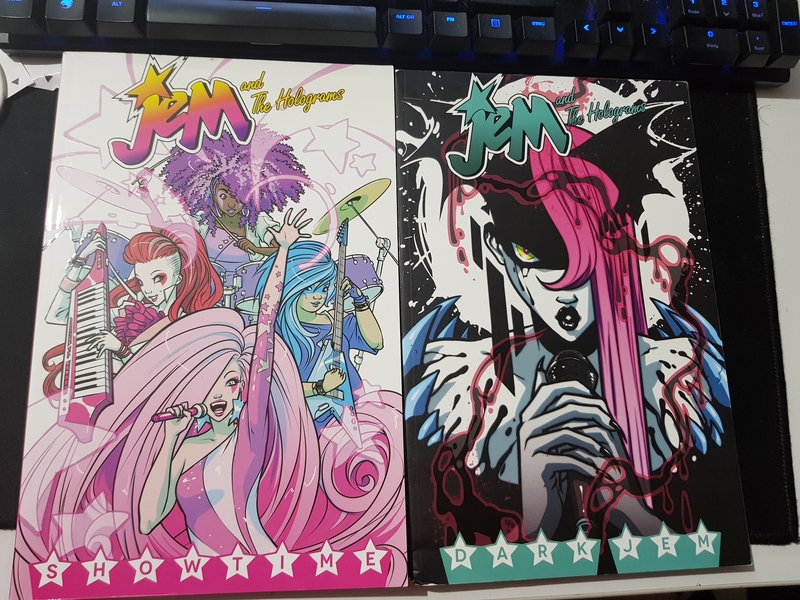 Sophie Campbell’s next major collaboration, Jem and the Holograms is neither of those things. Like Glory, Jem is a reboot of older material, in this case an animated series about a rock band that has the power to transform into anything they want thanks to a supercomputer named Synergy that can create life-like holograms. Not every part of this story makes equal sense, but why would you dig deeper when the story on offer is fun? That’s all equally true for the comic book, written by Kelly Thompson, who has used this book to jump to a very active writing career in comics, with art by Campbell (and colors by M. Victoria Robado). It’s odd to me that Thompson is the breakout star of the book when the major advantage of the book is Campbell’s art. The animated series has Jem’s band be in a constant conflict with a rival band called The Misfits (no, not those Misfits) and Campbell creates a clear design for both bands that is both believable and realist in its use of clothing, hair and other accoutrements, and at the same time absolutely, gorgeously fantastic. In Jem and the Holograms, we find Glory’s flowing hair again, the long limbs, but this time they are woven around music. The conflicts here are personal rather than apocalyptic, but we follow everything with rapt attention because of the world Campbell has created. Some of the writing is weak, some of the plot could have been better managed, much of it moves from bullet point to bullet point with an almost mechanical abruptness, but I dare you to be bothered when the delivery method is this glowing yet sharp and precise art. It’s not even the story itself that’s at issue, after all, Campbell had a hand in it, it’s the smaller details of writing that left me underwhelmed, but the art, truly, makes up for everything. So why isn’t Campbell the breakout star with her own book right now rather than Thompson? The reason may lie in Campbell’s vision that is one that exceeds simple narratives of physicality and identity. 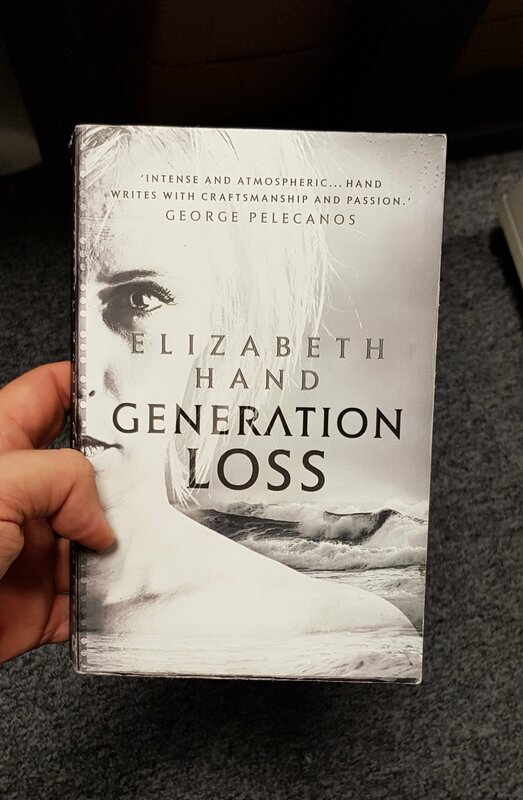 In her books, people are damaged or change and then they live with that change. Sometimes people are not who we (or they) thought they were, but they push through that, adapt, move on. There is no simple episodic ‘back to the start’ for Campbell. 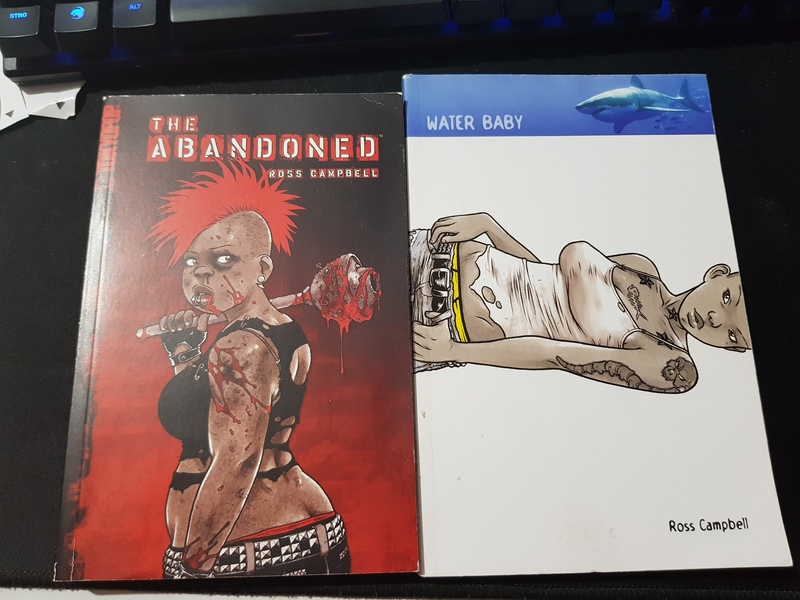 The zombie tale The Abandoned ends on a complicated note of betrayal and unknowable future, ending at the story’s messiest point, and similarly, the limb lost in Water Baby remains lost, and the trust between some of the book’s characters is damaged. We change, we move on, that’s a pattern that keeps recurring in Campbell’s books and that isn’t that common in comic books. 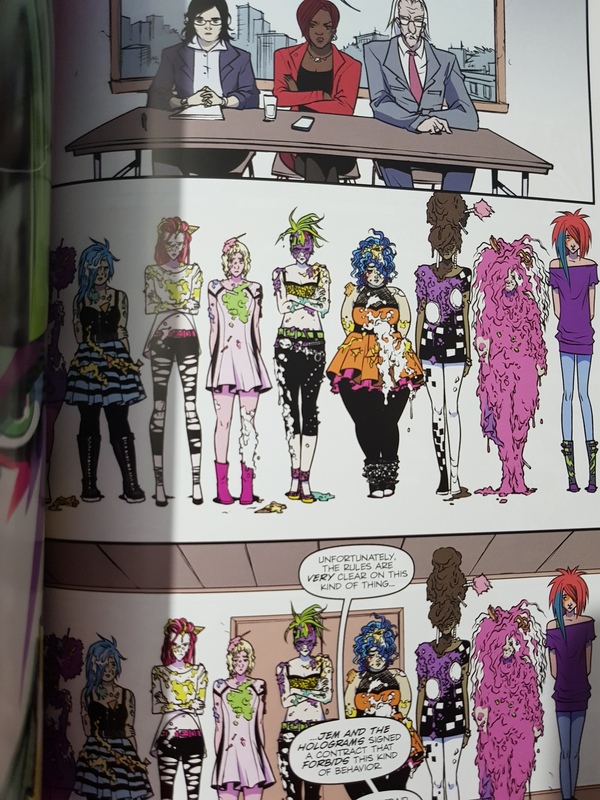 Plus, as a trans artist, Campbell’s voice isn’t as easily amplified as that of other unique comic book writers of today like Brandon Graham, about whose developing universe I’ll write something one of these days, or Matt Fraction, say. I will talk about Wet Moon in more detail some other time, but the fact remains that it is a complicated, untidy book – the comics industry, for all the genre’s potential for undermining simple narratives, is often remarkably conservative. Terry Moore’s Strangers in Paradise was a revolution, simply for writing a plain story about regular female characters, dressed and behaving like regular female characters. Wet Moon, with it’s more physical queerness is a more difficult proposition. These days most (all?) work that Campbell publishes (I can’t figure out which trades of TMNT contain her art, regrettably) is pencilwork for other writers and I suspect she has become most well know for her work on Jem and the Holograms and Glory. 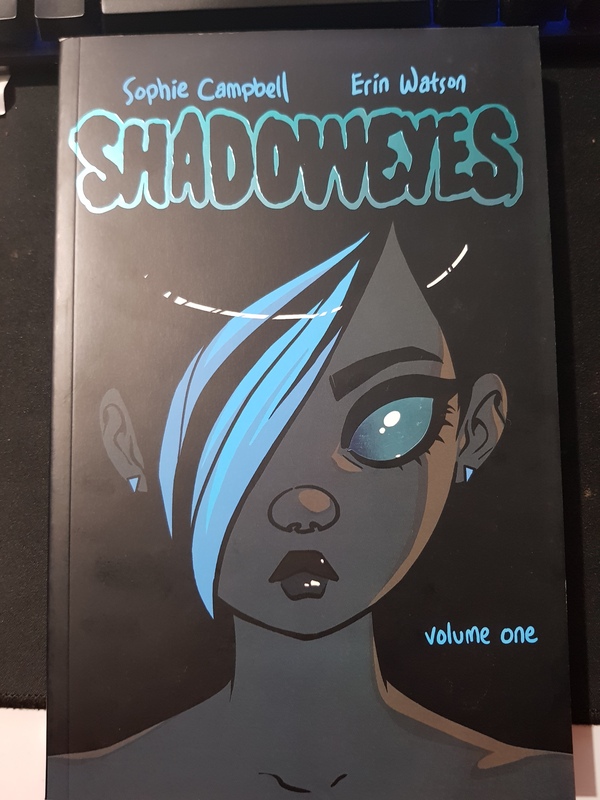 To these people, I recommend Shadoweyes without reservation, because it’s spectacularly gorgeous, combining, in some ways, two kinds of art that Glory and Jem split into two different directions. But Shadoweyes is more: it is also an unbelievably well told story about identity. In some ways, Shadoweyes serves as a key for some of Campbell’s other work, as it connects, through its intersex character Kyisha, the way preternatural transformations, common in superheroes and monsters, are a metaphor for the way people born into wrong or conflicting bodies deal with their identity. That’s not a popular topic, and not an easy one, but you can even find it in books Campbell didn’t write, just drew. That’s because her art is transformative. You should read her work. Start with Shadoweyes. It is good. Then read everything else. I promise you will not regret it.